Signature drinks at your wedding are all the rage. This photo at the bar at a wedding pops with bright bold vivid color. L'auberge Del Mar California. 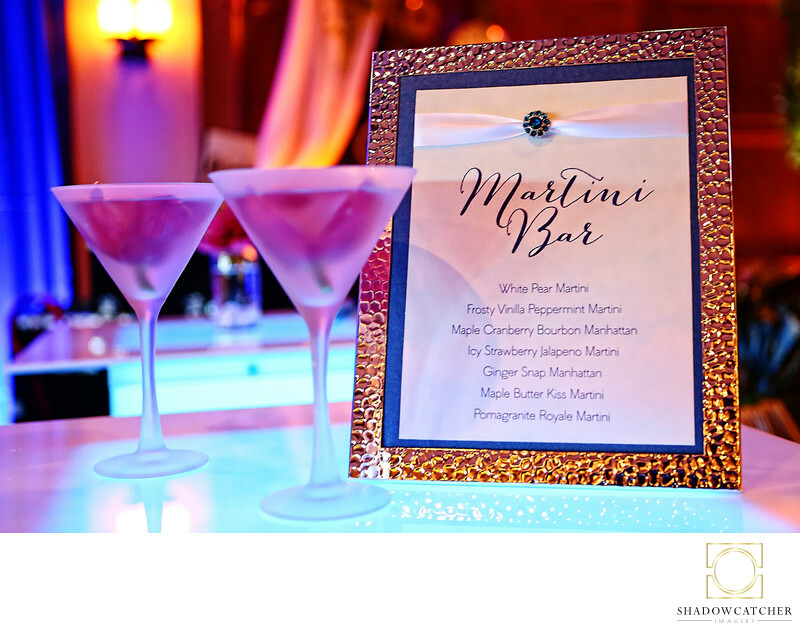 Signature drinks are a great way to put your own stamp on your event. From old favorites to the latest trendy "tinis," or even drinks invented by a mixologist just for you, it makes the experience just a little more memorable for you and your guests. Here at L'Auberge, we took a photo of two Pomegranate Royale Martinis and the menu, just to show what the night could look like. We shot this with a Canon 5D mkIII and 24-70 f2.8L using just the available light in the reception.